Please see below, everything you will need to know about the Diamond Jubilee Trophy 2019. 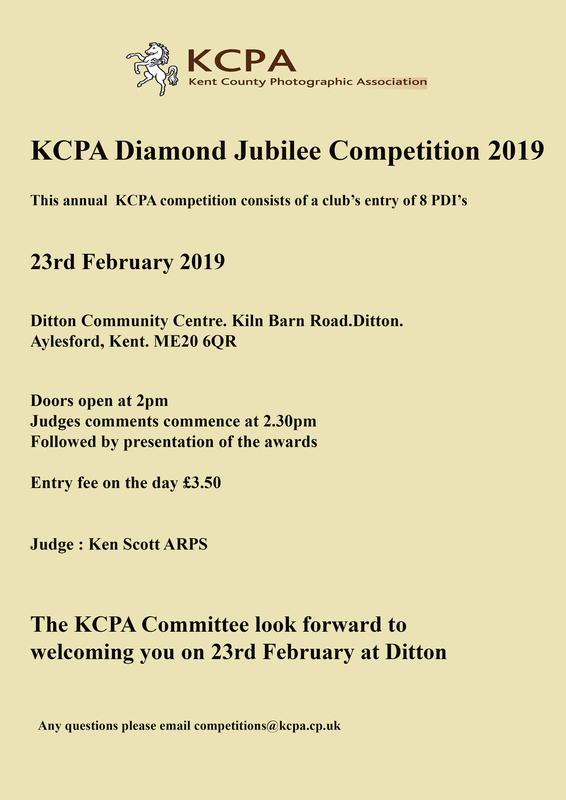 The competition takes place on 23rd February at Ditton Community Centre, Kiln Barn Road, Ditton. Aylesford, Kent. ME20 6QR. To enter we require 8 pdi’s to be submitted by each club. Remember that you are only allowed 2 images max per photographer. I very much look forward to receiving your clubs entry.